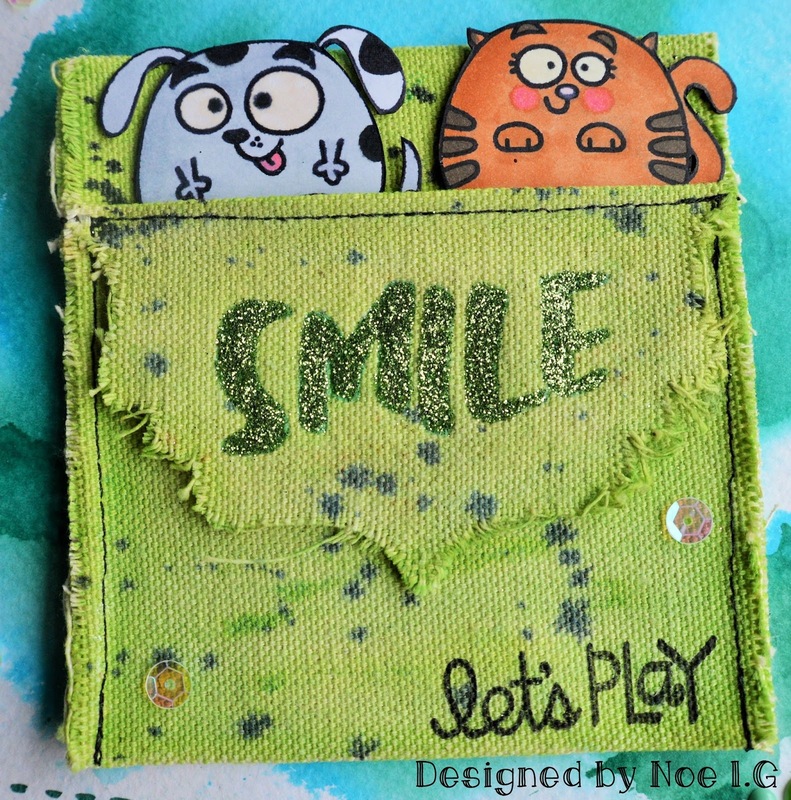 Linnie Blooms Design Team Blog: Let´s play Card!! Noe here to give you some crafting inspiration with Linnie Blooms products!! To make this funny card I used "Flourish Pocket"... I love it... Make projects with this, it´s too easy!! It´s too cute, isn´t it? Well, here is the step by step to make it!! 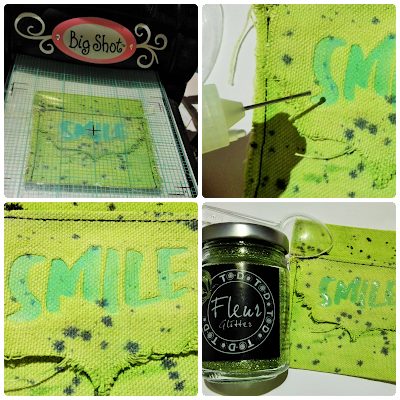 - First of all, I painted "Flourish pocket" with a green Gelato and water. Then I splattered it with black liquid ink. 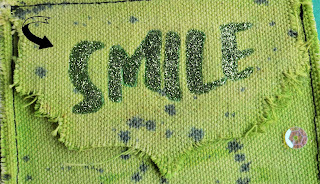 - Second step: using my Letterpress I marked "Smile" word and filled with Glossy Accents. After, I covered with glitter and I have left to dry. TIP:. 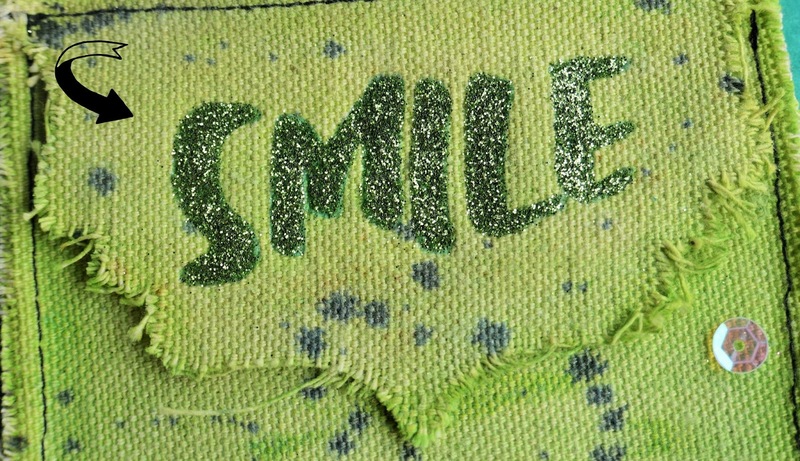 Don´t worry if you haven´t letterpress, use your favorite stamp as a template!! 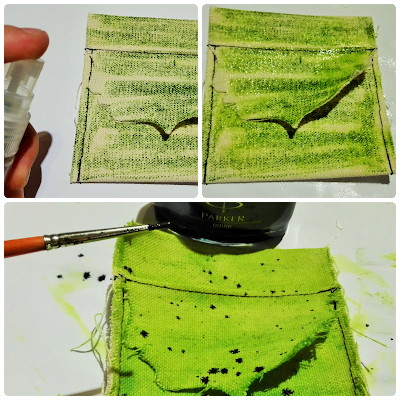 - Third: Paint your stamps (mine are "Chubby Chums" Paper Smooches stamp set) and then play with your Distress ink on a piece of watercolor cardstock. - Finally, paste the "Flourish pocket" on the cardstock... Ready!!! Thanks for your visit!! Have a great day! !